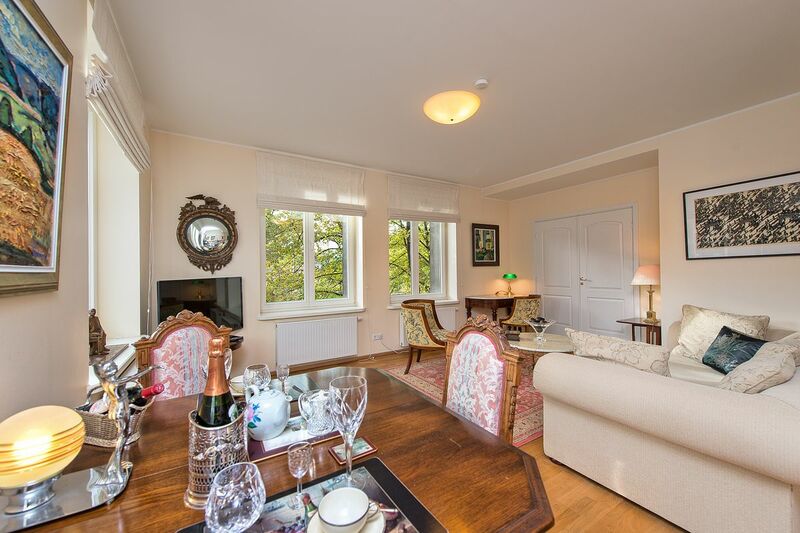 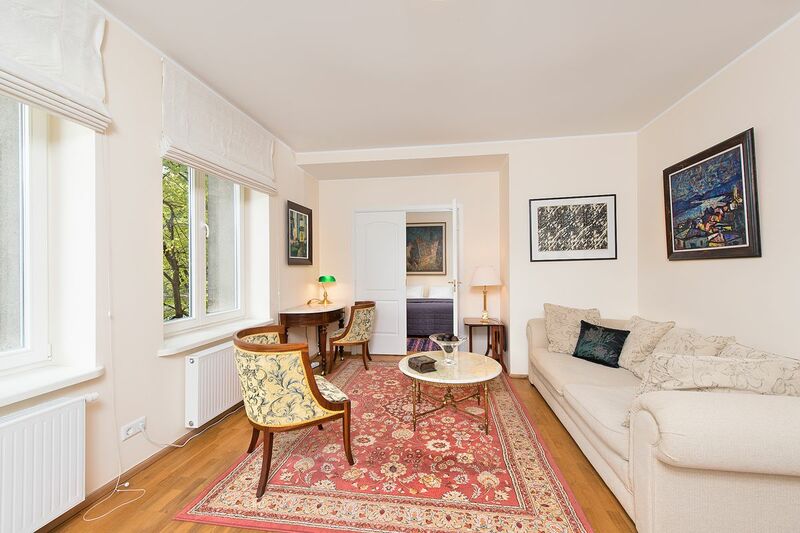 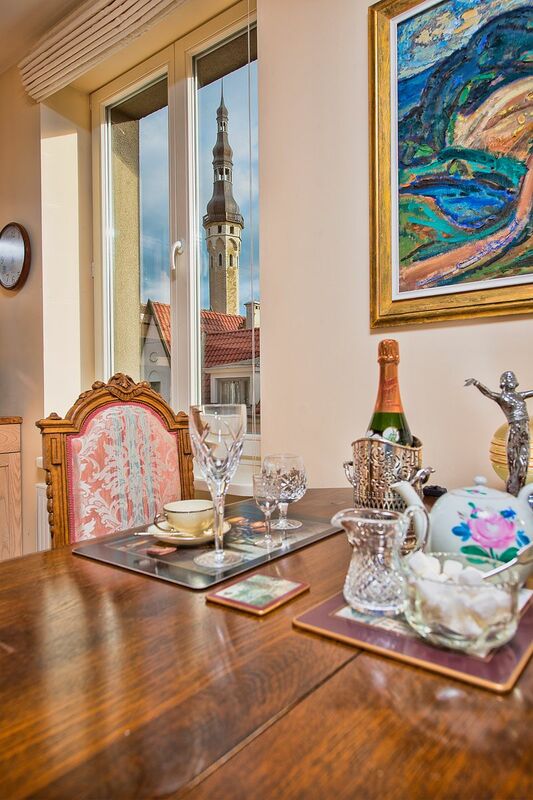 The Old Town Panoramic View apartment is a large, two bedroom apartment full of sunlight throughout the day offering wonderful views of the Town Hall Spire, St. Nicolas Church and an extended view all the way to Freedom Square. 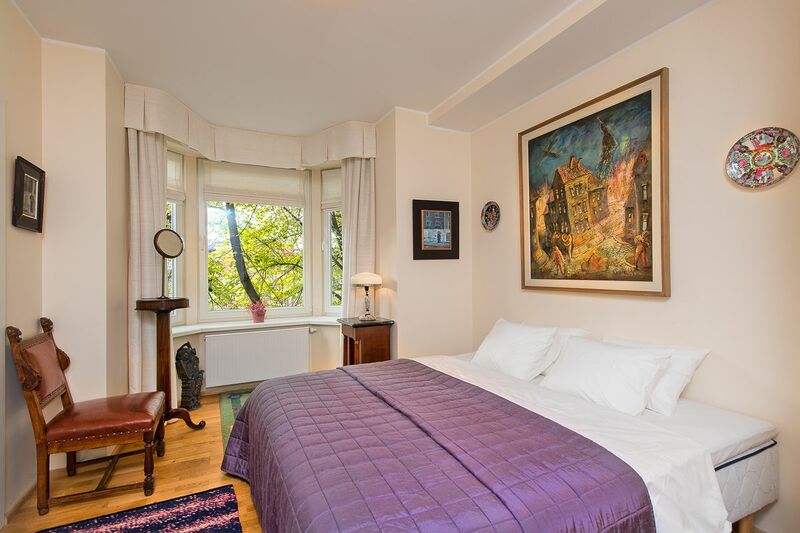 The apartment has a great collection of paintings and sculpture which provide interesting conversation points for guests. 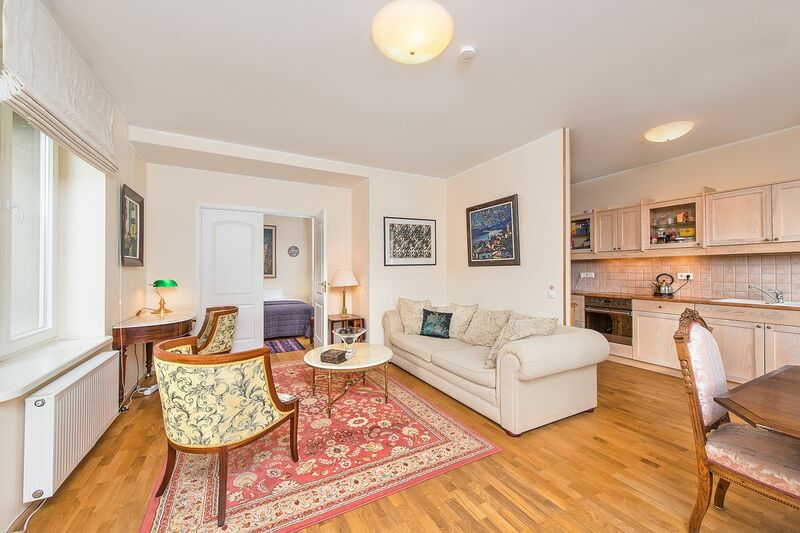 The furniture is a mixture of modern and antique. 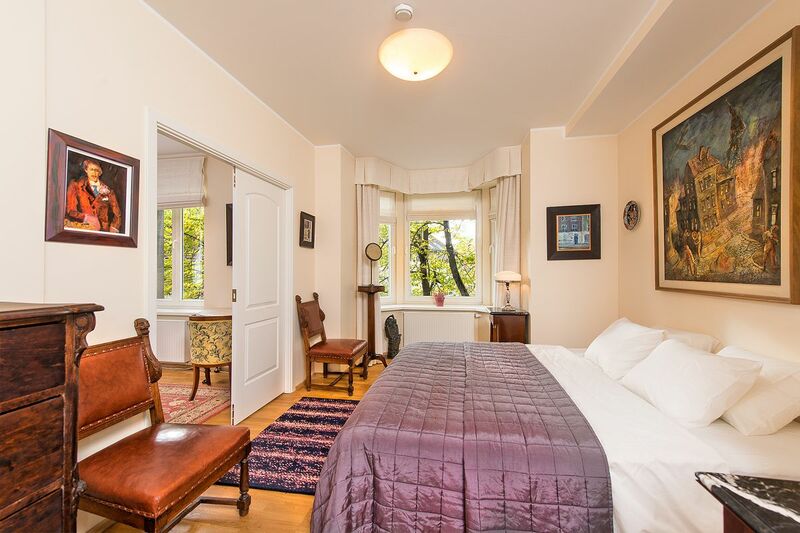 The beds are large and comfortable. 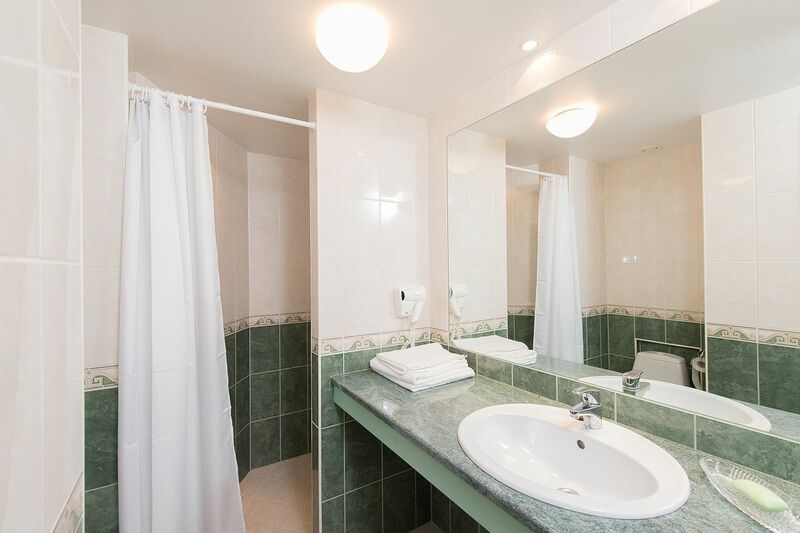 All bedrooms have hotel standard, white bedlinen and towels. 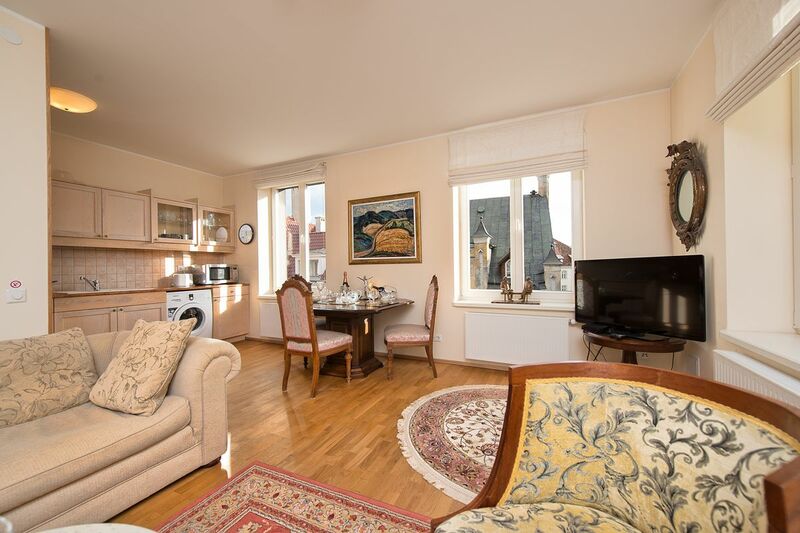 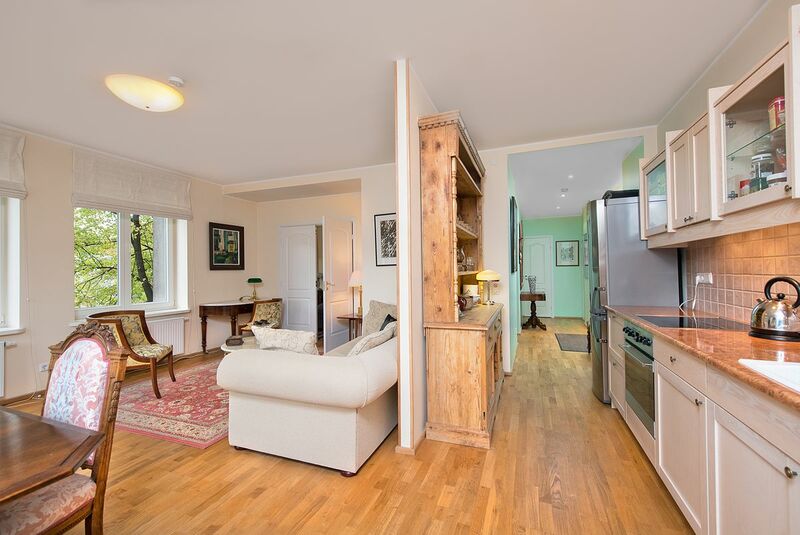 The apartment has an open plan design with a large living/dining room as well as a fully equipped kitchen. 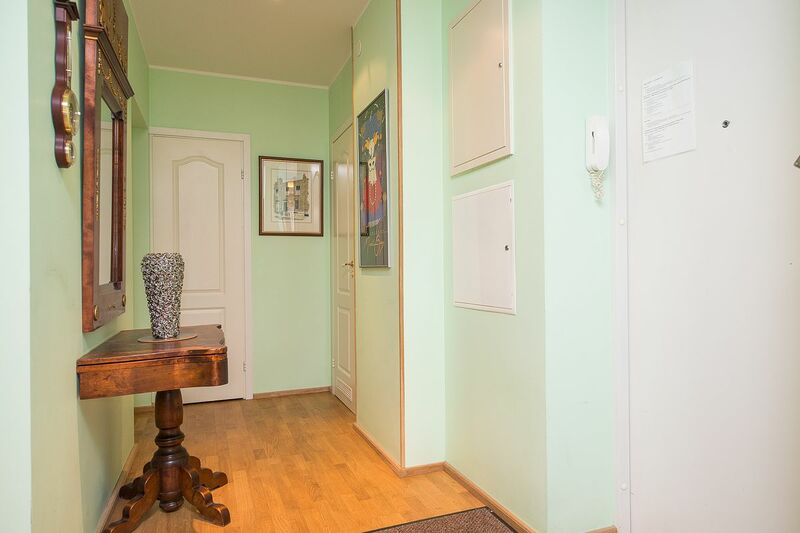 Fast, free WiFi and cable TV are included as standard.